Gorgeous Contemporary home with amazing views of surrounding mountains. 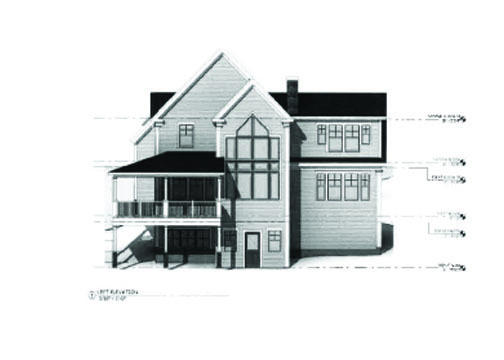 Now is your chance to buy this luxurious home currently under construction in beautiful Stowe, VT. Upon entering, you will be swept away with the amazing details and features this home offers such as custom built-ins and bench seat in the mudroom. Large open kitchen with custom cabinets, stone/granite counter tops, Energy Star Stainless Steel appliances, and a kitchen utility island. Two story living room with gas fireplace and massive windows with beaming views of the mountains, the perfect place to sit back and relax. First floor and second floor master bedrooms are spacious and have amazing walk-in closets, and dual sinks in bathroom. Tile shower included in the 1st floor master bedroom. Other bedrooms located on second floor are spacious and bright. Other incredible features like the balcony deck is a great spot to entertain. The unfinished, walkout basement has the option to be finished and has a full bath roughed in offering many possibilities! Can you imagine yourself living in this luxurious home? Make it a reality and come see incredible attention to details that BlackRock Construction captures as they build your dream home.